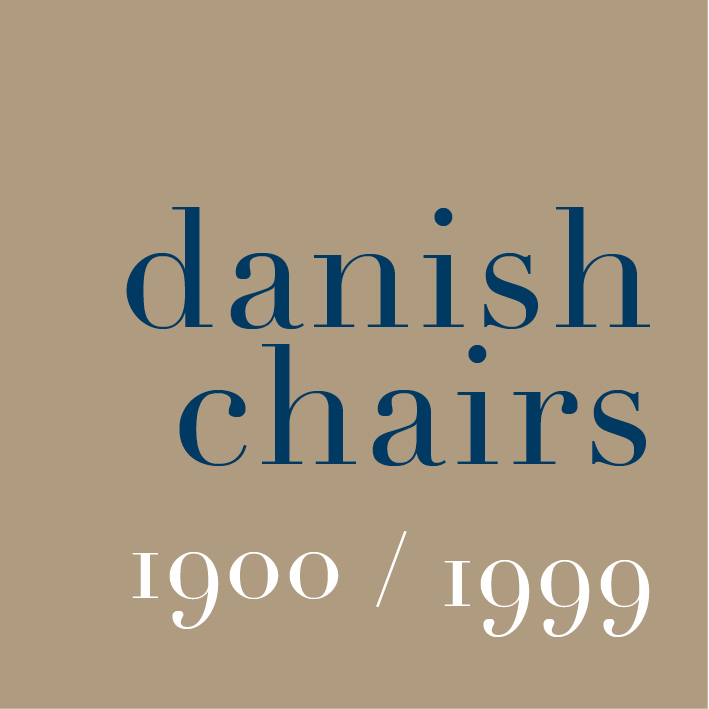 Of the great furniture designers working in Denmark in the middle of the 20th century, probably the least well known in England is Finn Juhl. He was born in 1912 and trained as an architect, first under Kay Fisker in the Architecture Department at the Royal Danish Academy of Fine Arts and then in the office of Vilhelm Lauritzen. However, from 1937 he also collaborated with the cabinet maker Niels Vodder and they regularly showed their furniture designs at the exhibitions of the Cabinet Maker's Guild. Increasingly Juhl focused his talents on designing furniture and interiors. In 1948 he came to the attention of Edgar Kauffman, head of the Department for Industrial Design at Merchandise Mart in New York who was touring Scandinavia looking at the work of a number of designers and manufacturers. Juhl's work appeared in an article in Interiors magazine and was included in the Good Design exhibition in Chicago in 1951. In that same year Juhl began work on designing the Trusteeship Council Chamber at the UN headquarters in New York - a major and well-publicised commission. Success continued through the decade: in 1957 Juhl was awarded a gold medal at the Triennial in Milan and he was responsible for remodelling the Georg Jensen store on New Bond Street in London; in 1960 he furnished the ambassador's residence at the Royal Danish Embassy in Washington and in the same year organised the Arts of Denmark exhibition at the Metropolitan Museum in New York which then travelled on to Washington, Chicago and Los Angeles. This period in Scandinavian and American design has seen a revival of interest over the last few years - in part perhaps, because, with the passage of time, the design of the period seems attractive for reassessment - but of course, in no small measure, due to the popularity of the television series Mad Men and the skill of their set designers. Where designs by Hans Wegner seem restrained and depend on the skill of the furniture maker, and rely on remarkable craftsmanship, furniture by Finn Juhl seems to be more experimental. He used darker wood, more extreme shapes and uses bold blocks of colour. 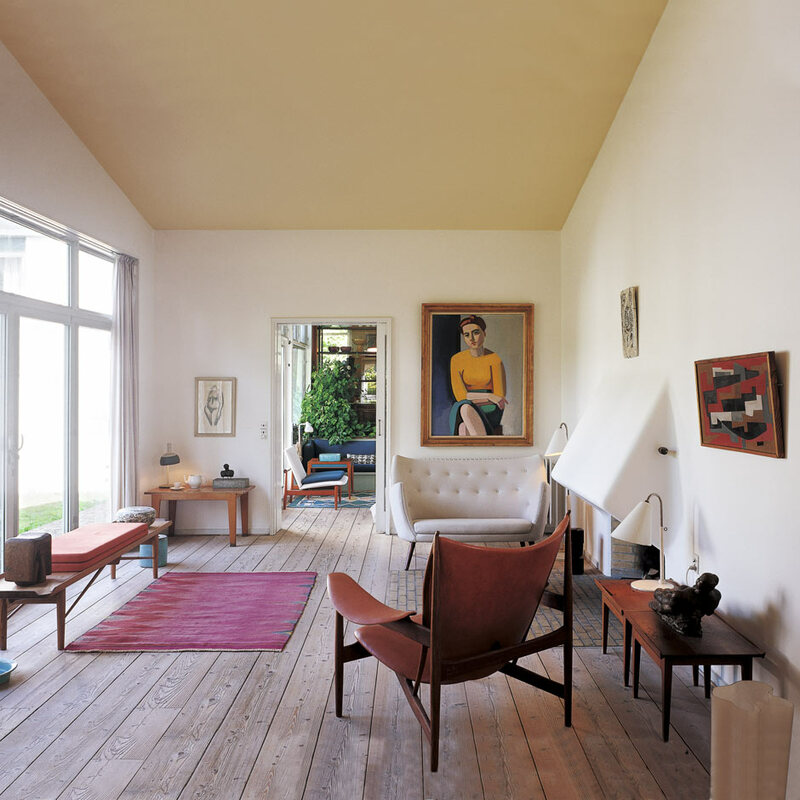 In 2012 there was an exhibition of Juhl’s furniture with working drawings at the Design Museum in Copenhagen to mark the centenary of his birth. What surprised me is that his drawings showed that he approached designing furniture in an almost rigidly architectural way, producing neat elevation drawings - I had expected more free sketches for the complex shapes and curves - but, never-the-less, his furniture seems more organic and the lines softer and more rounded than work in wood by contemporary furniture designers.